Fleetmatics WORK is Job Management and Scheduling software for field service businesses. It can integrate with KashFlow and from Fleetmatics WORK you can transfer Clients and Invoices to KashFlow. 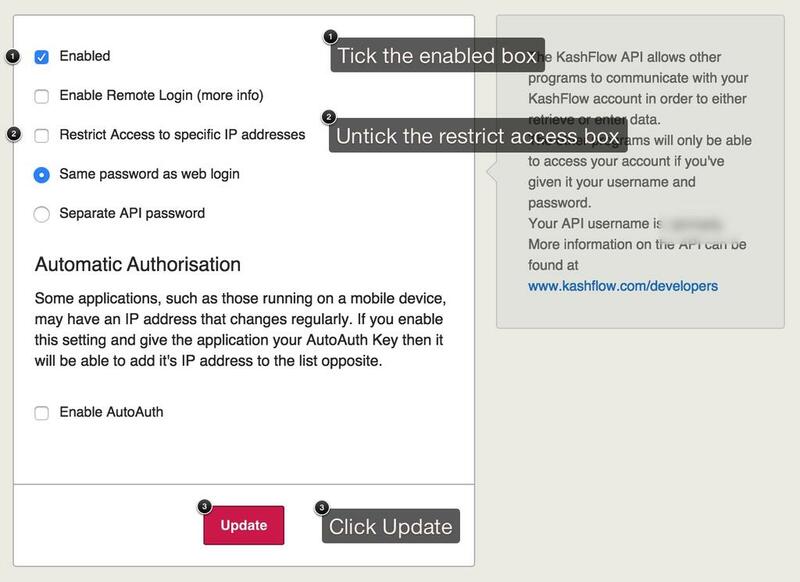 Go to Settings > Integrations > KashFlow > Select Configure>Enter the KashFlow Username and Password > Save > Select Connect Button. You will then be directed to the next page which should confirm that the sync between Fleetmatics WORK and KashFlow has been initiated. You will receive an email once sync is complete. After you receive your confirmation email, log into your KashFlow account.Under the Customer tab, you will see all the clients have been transferred from Fleetmatics WORK to KashFlow along with their associated invoices. Fleetmatics WORK are available by e-mail at work.support@fleetmatics.com and have documentation available here.